They’re interested in creating a digital asset which can be sold in a store that never closes…their own website. And they’re interested in finding a way to earn an income no matter where they are physically or when they choose to invest hours in their business. They want to change their lifestyle and the way they earn income. Now, to be completely upfront here, there’s no such thing as a truly passive income. 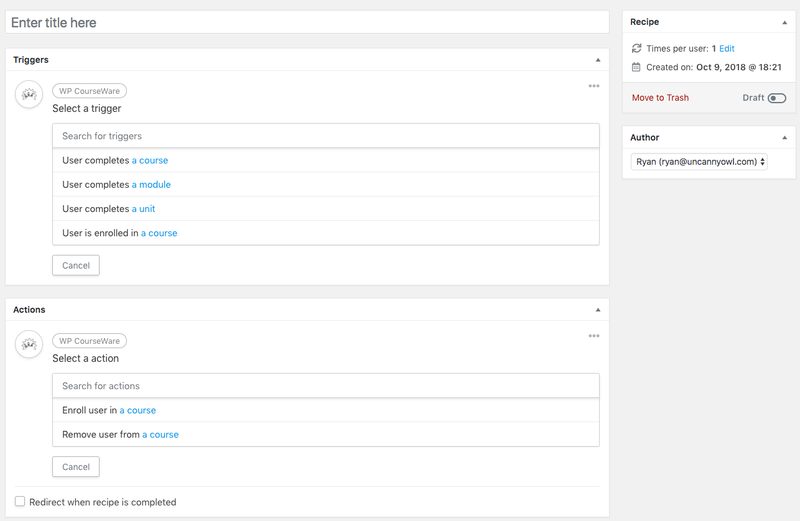 Even with a business which sells online courses there’s content which needs to be updated, customer support, student interaction, website maintenance, accounting, and plenty of other duties which require a course creator’s attention from time to time. But all in all, online courses are one of the most maintenance-free, passive digital assets you can create to generate an income online. And there are many, many things an online course creator can do to maximize automation and minimize the time required to maintain a course. So we’re always on the lookout for ways to help our WP Courseware customers decrease the number of moving parts they need to tend to in their business. This is why we were very excited a couple of weeks ago when we received an email from a web design consultancy which specializes in helping their clients create online courses and e-learning websites. 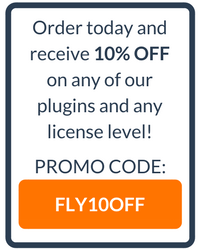 They contacted us to let us know that they’d just released a new WordPress plugin which includes “recipes” to help website owners automate many moving parts…Automator Plugin. If you’ve ever used Zapier, the Automator Plugin functions in a smilier fashion…it can help you create “if this then that” scenarios for certain actions on your site. While these automation recipes may seem simple, they contain many, many possibilities for WP Courseware users to automate manual parts of their business! The folks behind the Automator Plugin are planning to continue adding new integrations in future versions, so be sure to take a look to see if there are recipes which might help you automate your online courses! Thanks for the mention of Uncanny Automator! We’re really excited about the opportunities it opens up for elearning sites, and we’ll continue building out more triggers and automations over the coming months. Awesome piece of content! Automation is key to massive success for every online business. Will check out the Automatic plugin. I’ll be setting up my studio soon.